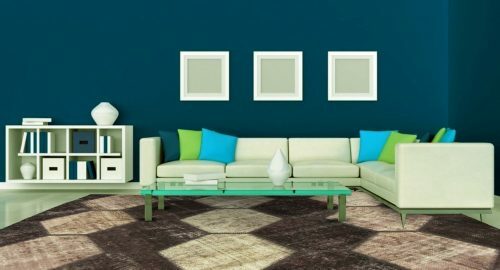 These are two recent innovations in the rug world that have become increasingly popular of late. 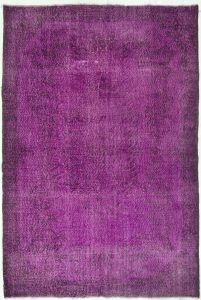 In overdye rugs, these rugs demonstrate a process best described as ‘The modern palette applied to classics’. 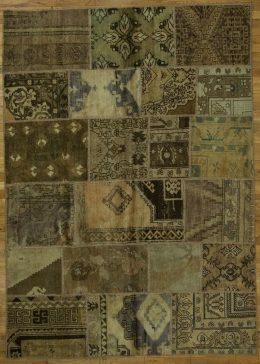 It consists of an added step to the finishing process in which the rug is antique washed, sheared, and finally hand dyed in a full immersion bath of a chosen color. 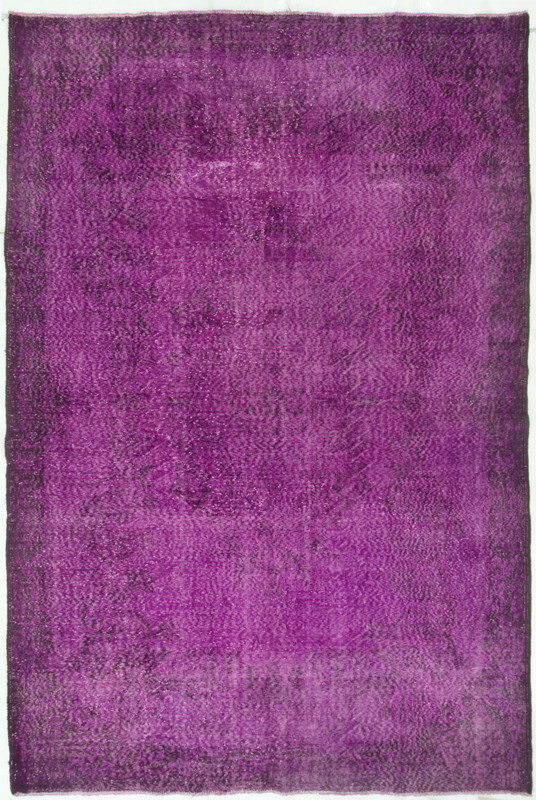 The effect is quite stunning, adding a vibrant overcast to the whole rug and blending seamlessly with the prior dyes. The carpet now has a single chromatic theme rather than distinct field, border and detail colors. Patchwork rugs are collages, made up of often uniform in size sections of various carpets, but varying in designs, color schemes and weaving textures. Usually they are borderless. The eye is kept moving across the rug, carried by the often surprising juxtapositions of the various sections.